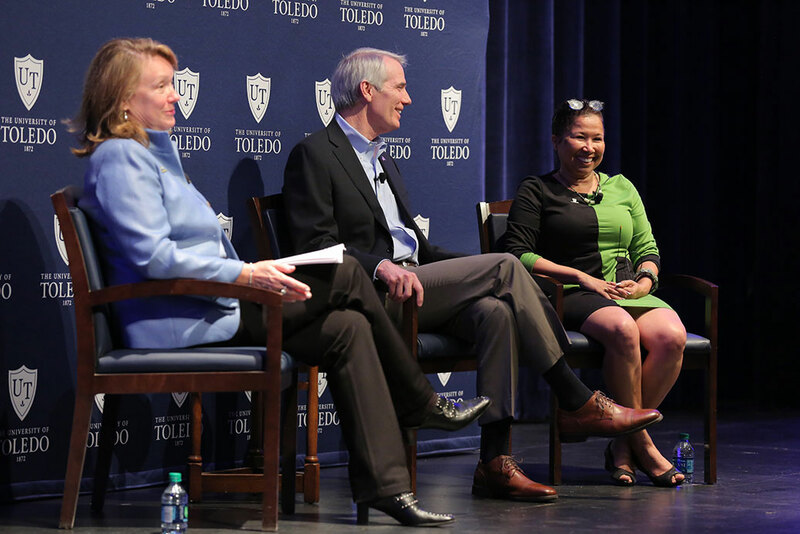 The University of Toledo hosts the oldest academic Human Trafficking conference in the nation. In 2015 UT opened its Human Trafficking and Social Justice Institute. UT professor Celia Williamson, Ph.D., has consulted on anti-trafficking policies for the Ohio Attorney General’s Human Trafficking Commission and the Ohio Governor’s Human Trafficking Task force. The University of Toledo’s Human Trafficking and Social Justice Institute serves as the home of the Lucas County Human Trafficking Coalition, a collaboration between the University, law enforcement and social service organizations to enhance communications, educate the community and provide a continuum of care to survivors of trafficking. Dr. Williamson founded and serves as managing editor of the International Journal of Human Trafficking, the first academic journal to advance the knowledge base in the emerging field of policy, practice and research. The Institute has developed screening tools for mental health professionals, webpages and apps for teens, community plans and behavioral models aimed at raising awareness and helping individuals move from being victims to survivors, then thrivers.